Can the Incarcerated Vote in the November General Elections? “Until today, I didn’t know I could vote. This institution, by not providing me with the necessary information, deprived me of my right, my civic duty as an American, to vote,” a detainee in Orange County Jail wrote to the Jail Project -Unlock the Vote Team on April 2018. Throughout the country, there is widespread misconception that those who are incarcerated are not eligible to cast a vote. Some jail officers, local election authorities and detainees themselves do not realize the incarcerated have civil rights that are protected by the Constitution. 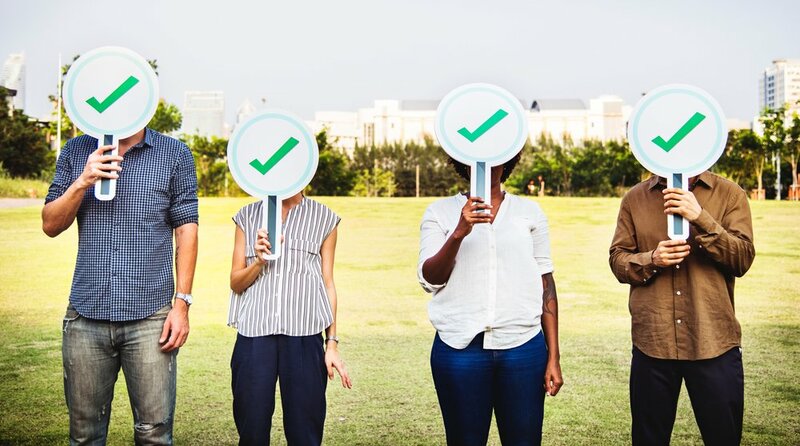 Civic-minded U.S. citizens on the outside and those on the inside can make their voices heard by registering to vote in the General Election on November 6, 2018. What is the ACLU - Unlock the Vote Campaign’s Purpose? To increase awareness and demystify the voting process for eligible detainees, the ACLU, a nonprofit, nonpartisan organization dedicated to defending the principles of liberty and equality, has collaborated with community partners to launch Unlock the Vote (UTV), a voter education and registration campaign, aimed to reduce barriers to registration and voting for justice-involved and justice-impacted individuals in Orange County and Los Angeles County. To do this, the ACLU SoCal-Jails Project mails information to those who are incarcerated, registers formerly incarcerated individuals after their release from county jail and also registers family and friends to vote. By informing the disenfranchised communities inside the Los Angeles and Orange County jails, the UTV campaign aims to increase access to voting for at least 23,000 people and their families. Historically, these folks have been denied their right to register without sufficient information to register and cast a ballot. What are your right to vote in California? In California, if a detainee is a U.S. Citizen, 18 or older and mentally stable, they have a right to vote unless they are currently serving a State or Federal prison sentence or currently on parole. To break it down further and simplify who can vote in county jails, the following individuals are eligible to vote. If a detainee is in county jail awaiting trial or on trial for any crime, for a misdemeanor conviction, for probation violation, for felony probation or for serving a jail sentence under Realignment (AB109), they can vote. Detainees who are not eligible to vote are those who are awaiting transfer to a state or federal prison for a felony conviction, a parole violation and/or serving in a state prison sentence under a contract with a county jail. If I’m eligible, what steps do I take to get more information about UTV? If a detainee is eligible to vote, they can obtain helpful UTV materials and toolkit on how vote by contacting the ACLU Jails Project - Unlock the Vote, 1851 E. First Street, Suite 450, Santa Ana, CA 92705. Your right to vote is a civil right that is protected by the laws in our democracy. Unlike other countries in the world, you have a choice! Your actions and votes matter in electing the following: members of Congress and the Senate who writes the laws, the Governor who signs bills into law, Judges who interprets the law, the Sheriff who runs the county jails, the District Attorney who decides which criminal case to prosecute and guides sentencing and many other local offices. and Your vote can also affect local and state initiatives and bonds that can have a dramatic impact on our lives. Gisele Nguyen-Gill, CEO, MBA, ACB, CL, is a writer, teacher, public speaker and business owner. 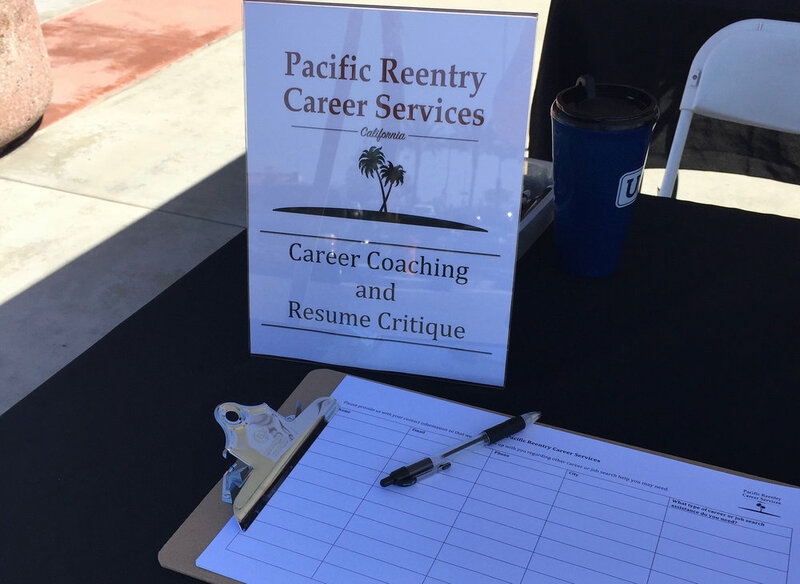 Things are busy at Pacific Reentry Career Services, and we have been hard at work launching programs and helping support the reentry community. We have begun working with clients, are planning for our first Fair Chance Hiring Summit and making important connections that we hope will lead to successful opportunities for the job seekers we serve. We wanted to take a moment to share information on some upcoming events. This summit is a chance for employers to learn more about the benefits of hiring the formerly incarcerated. We will have a presentation on background checks and hiring best practices by Attorney Jeffrey Malek of Malek & Malek, a panel with employers who have had success with fair chance hiring and breakout groups for attendees to share their questions and experiences. This event is ideal for HR professionals, hiring managers and business owners. The summit is free, but space is limited, so registration is required. Visit our summit page for more information and to register. 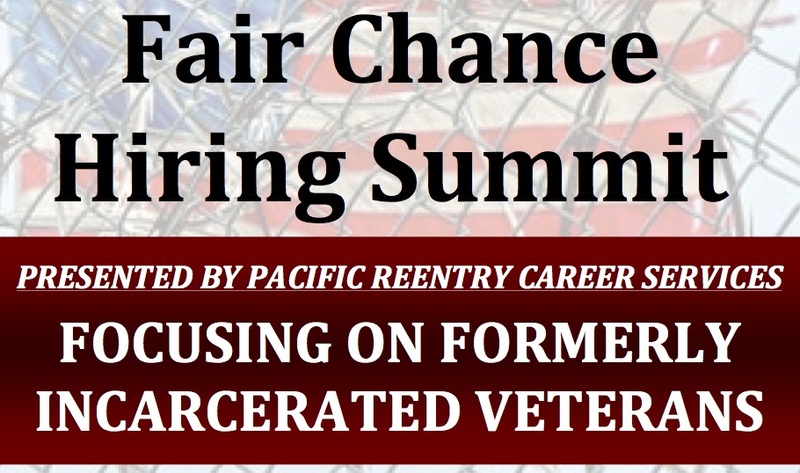 This event is put on by the Orange County Re-Entry Partnership (OCREP). The resource fair will include community resources, education opportunities and more. This is an excellent opportunity to learn about the programs and services that support the formerly incarcerated in our community. All formerly incarcerated people and their families are welcome to attend this free event. Please do not bring children. For more information or to participate as a vendor, contact OCREP at 657-859-9444 or info@ocreentry.com. We will be there, and we hope to see you there too. 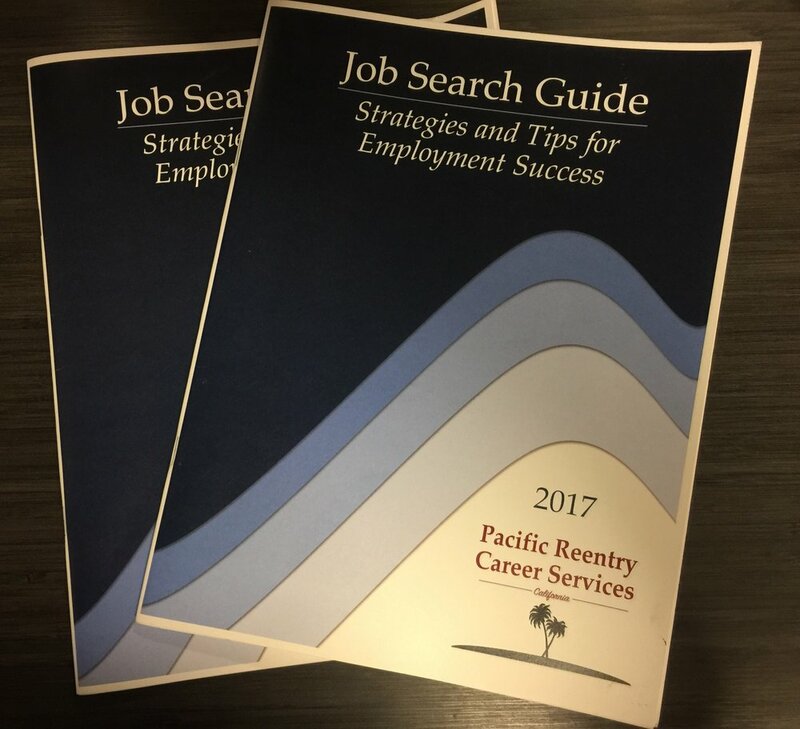 Stay tuned to our blog for more updates, and be sure to subscribe to our newsletter to get all the latest news on Pacific Reentry Career Services. According to a report by the Pew Charitable Trusts, 2.7 million children in the U.S. have an incarcerated parents. This accounts for 1 out of every 28 children, which is up from 1 in 125 children in the mid-1980s. The report states that having a parent incarcerated hurts children educationally and financially. The Bureau of Justice Statistics found that 52% of state inmates and 63% of federal inmates have minor children. Incarceration splits up families, so it is important that we talk about the effect it has on children and not just on the individual serving time. Children of incarcerated parents may experience anxiety, depression, traumatic stress, survivor guilt and other behavior issues. They may have trouble with sleep and difficulty concentrating. 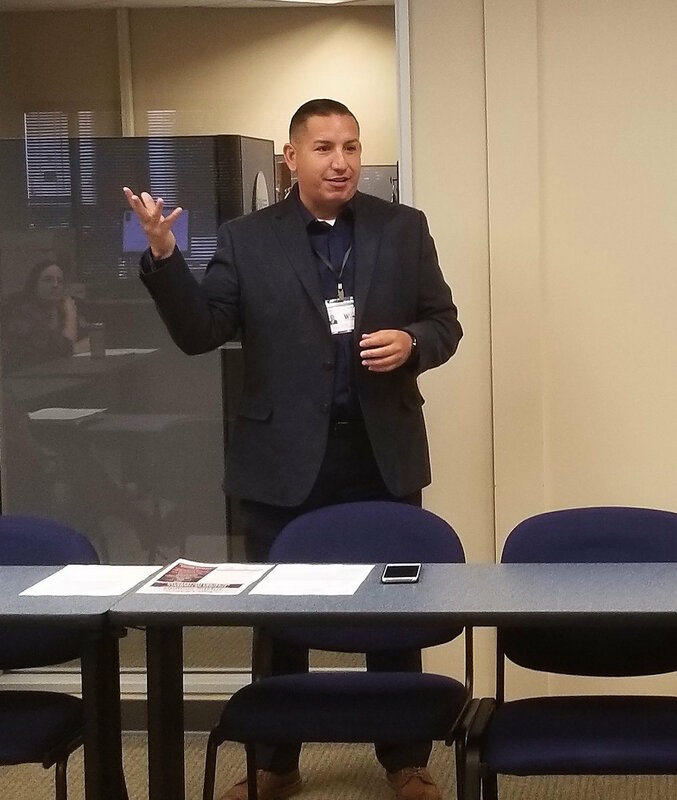 Last December, Pacific Reentry Career Services attended "Children of Incarcerated Parents: Trauma, Toxic Stress and Protections, the 2016 summit put on by Friends Outside of Los Angeles County. The event helped shine a light on the necessity of recognizing the effects of incarceration on children whose parents are locked up. 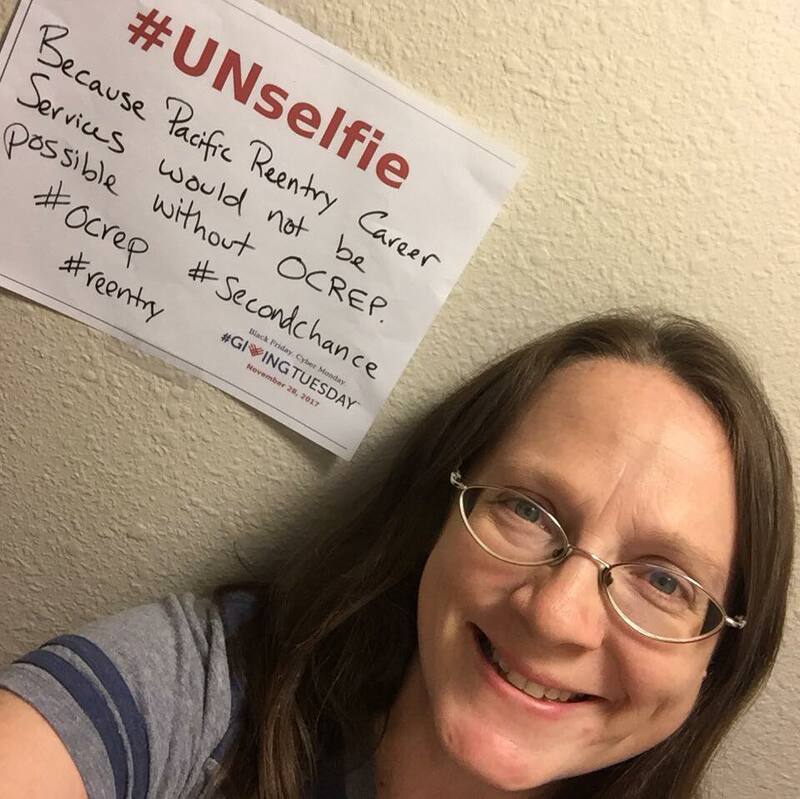 While our work here at Pacific Reentry Career Services focuses on helping clients find employment following release, we also recognize that supporting families is an important part of our work for anyone in the reentry field. Many of those released are parents, and having a stable job with a steady income is an important part of supporting a family. For those supporting children, we have listed some useful resources below. The mission of Families & Criminal Justice is the prevention of intergenerational crime and incarceration. Families & Criminal Justice is based in Los Angeles and has programs for incarcerated parents as well as for the children of incarcerated parents. Their website includes a useful list of publications for those wanting to read more on the effects of incarceration on families. Friends Outside provides no-cost services in English and Spanish. They have a number of programs that include family communication support, family events, support groups, transportation assistance and more. They can also help coordinate supervised visits between qualifying incarcerated parents and their children who have an open case with the Department of Children and Family Services, and they prepare children and their caregivers for visits. POPS The Club started at Venice High School in 2013 and has since expanded to other schools in California and Minnesota. This organization establishes clubs for high school students experiencing the Pain of Our Prison System (POPS) through having an incarcerated parent. The clubs provide emotional and community support for participants. They also publish the writing and artwork of participants. Plans are in the works to start clubs at more schools. Root & Rebound "Family & Children Toolkit"
Root & Rebound recently released their "Family & Children Toolkit: A Primer for Families Supporting their Loved One's Reentry." This guide goes through things friends and families can do to help their loved one before and after release. There are also tips for rebuilding relationships following release, information on family reunification and details about how therapy can help. Sesame Street has created an excellent resource for young children of incarcerated parents. The kit includes a DVD and booklet for children, and it includes information for caregivers on how to talk to young children about incarceration. The materials are in both English and Spanish. If your organization supports the children of incarcerated parents, and you would like to be listed here, please contact us. Anyone who has ever been in the business of helping others knows that we don’t do it alone. We live in an interconnected web of society, each of our individual strands touches thousands of others in subtle and obvious ways. Shepherd’s Door, the Domestic Violence Resource Center in Pasadena, California, is a strand on the web that we recently found is closely aligned to what we here at Pacific Reentry Career Services are trying to do. Incarceration and domestic violence often live in the same neighborhood (so to speak); and in the interest of discovering where our two organizations intersect, and how we might support each other's work, we spent some time talking to Linda Offray, Founder and Executive Director of Shepherd’s Door. She spoke to us not only about Shepherd’s Door and the services they offer, but also about her very personal experience with domestic violence, the difficult process of getting a nonprofit through its first years, and why she never gave up. How long has Shepherd’s Door been around, and what initially inspired you to launch it? For 10 years I worked with the City of Pasadena in a pregnancy and parenting program, and it was there that I found out that domestic violence was so prevalent in our community and the home of many of the women I was the case manager for. Doing social work like that often required me to make home visits, and when you go in the home of a person you begin to see things. I realized how serious domestic violence was in our community. Even what we think of as very successful households. Domestic violence knows no class boundaries, religion, economic status, ethnicity or even gender, It’s prevalent in all communities. What was the most challenging aspect of getting Shepherd’s Door started? The paperwork. Getting funding. Finding volunteers. All these things! It was a lot of work, and I did it all on my own at the beginning. I could not find anyone who was willing to work with me starting from the ground for free. It’s sad to put it that way, but we had no money starting out. People have their own expenses and responsibilities and they want--and deserve--to be paid, but we had no money. So finding volunteers was one of my biggest challenges. It takes a lot of work and dedication, and the person doing it needs to have a passion, especially if they are not going to get paid at first. I couldn’t find anyone with my same level of passion. I found a lot people who cared about the issue, had concerns and a desire to help, but no one would commit to helping me get Shepherd’s Door off the ground. Shepherd’s Door is not just for female victims of domestic violence, correct? What can you tell me about the demographic of people who come to your organization? We predominantly work with females. In my 20 years I’ve only had 2 men come to me and admit that they were being abused. 99% of our clients are women. I would say 50% are Latina, 30% African American, 15% Caucasian and 5% Asian. The age range is between 21 and 60 years of age. We had a recent intake who was 62, she came to us after 47 years of abuse. Income level is predominantly low-income, but some women are very successful. We offer the women who come to us a range of services, regardless of their age or demographic, including domestic violence counseling and support groups. We just want to help with whatever they need in the moment. We are proud of every victim that comes to us seeking help; it is the first step to recovery. Even though there are many survivors of domestic violence, there’s that effect of abuse that will be with them forever. But they learn how to live with it and move on. That's what Shepherd’s Door gives them: support forever. Let’s talk about the intersection between Pacific Reentry Career Services and Shepherd’s Door. For victims of domestic violence, how large a shadow does prison or the criminal justice system throw? Out of the 20 years I’ve been working with women, I've known 2 ladies who’ve been willing to share with me that they have done prison time for killing their abuser, although I couldn’t get them to talk too much about it at the time. But I know several women who have gone to jail because of domestic violence. In a situation where a person is being abused, and the victim finally fights back, the abuser will sometimes be the one to call the police. In these cases, if the victim left any cuts or bruises or marks as they have fought back, then the victims will go to jail for defending themselves. It may only be for a few days or weeks, but nevertheless, that's their encounter with the system. But there’s a whole other challenge with the legal system once a victim leaves their abuser, many abusers will now start using the system against the victim. The abusers turn around and serve the victims with custody papers after the women leave. They sue for joint or full custody. The abuser (who is often the male head-of-household and breadwinner) is able to afford legal representation, while the victim is unable able to afford to hire an attorney to fight back. So there are many levels of conflict with the legal or criminal justice system. One of our biggest needs is raising the funds to help victims with legal representation, legal advice, answering of court papers served, filling out legal documents, etc. No one on the Shepherd’s Door team is currently a legal professional, so we are in need of a family law attorney who would be willing to come on board with Shepherd’s Door to volunteer 3-5 hours a month. Anything can be a help to the victim. We can give women recommendations and referrals, but many of the victims cannot afford to hire someone even to help them fill out paperwork. Helping victims afford legal representation, and helping them find shelter, are two of our biggest challenges. Prevention Education is part of the mission of Shepherd’s Door; is this a challenge? Are adolescents and high schoolers your target audience? Do you find them generally receptive? At the end of the class I always ask how many of them know someone who is a victim of domestic violence, or are victims of domestic violence themselves, and a majority of the students raise their hands. The education program was very hard when I first started, many times I’ve done presentations and had young ladies sitting before me with tears rolling down their faces. I have had to keep my composure, I always know who in the group is being affected by what I am teaching. I know by the expressions on their faces, by the way they react. I’ve gotten terribly sad looks, and I’ve gotten some looks that simply “I don’t care what you say.” So I make sure to bring it home that none of them have the right to put their hands on each other in violence. What is the biggest challenge Shepherd’s Door finds itself facing today? Getting funding. We need funding to help victims get legal help. We need funding to help provide them with shelter and clothing, because most of these victims leave their abusive situation and come to us with nothing. We need funding merely to sustain where we are. Over the years many domestic violence programs have had to close down due to lack of funding. We lost 9 programs/shelters when the economy took a turn 2008, and almost none of them were able to come back. We can’t afford to lose these programs. The truth is that for whatever reason, we’ve seen a sharp increase of domestic violence in the past 5 or 6 months. This is nationwide! We don't know why, or what the cause is, but those are the facts. We have a huge problem when abuse is on the rise, and victims cannot get the services they need due to lack of funds. How can people who read this help Shepherd’s Door? First of all, refer people in need to us so we can help. Next, promote Shepherd’s Door to everyone you know, and support the cause! Donate through our website. People with expertise can volunteer to teach support groups. You can take a domestic violence counseling class and learn how to counsel. (We provide these training classes.) We are starting a mentoring program in hopes of the support victims of domestic violence need. We will be seeking mentors. And finally, organize a fundraiser. I’m always looking for good fundraisers! Jenni Buchanan is a reader, freelance writer & online community manager. She is a member of the board of directors for Pacific Reentry Career Services and for One Spark Academy. When not working, Jenni is a philosopher, hiker, nature-lover, and story addict. You can follow her on Twitter at @JenniBuchanan.